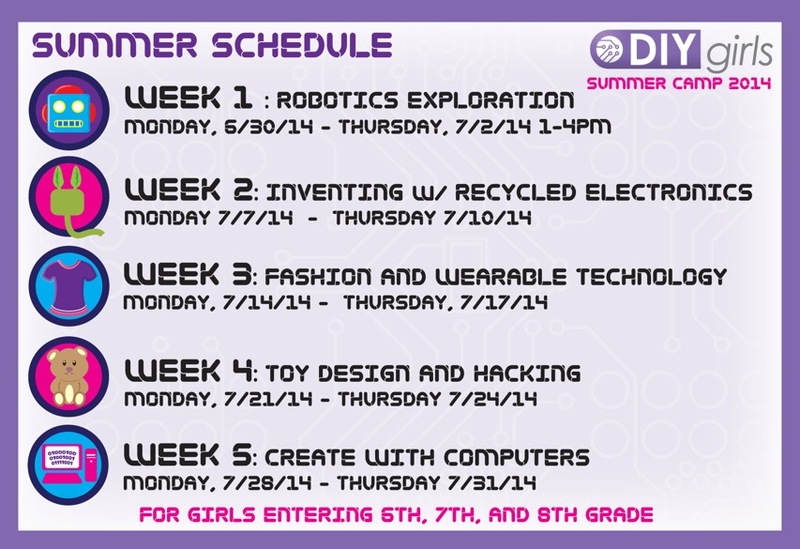 Cool summer camp at @diygirls « Adafruit Industries – Makers, hackers, artists, designers and engineers! DIY (“Do-It-Yourself”) Girls’ mission is to increase women and girls’ interest in technology, engineering and making by providing hands-on educational experiences. DIY Girls develops and implements educational programs and events designed to encourage exploration with technology, promote self-confidence and support aspiration to technical careers.